To tell a story... use the Audionetic human powered audio players for the public space. We turn information into an interactive experience. 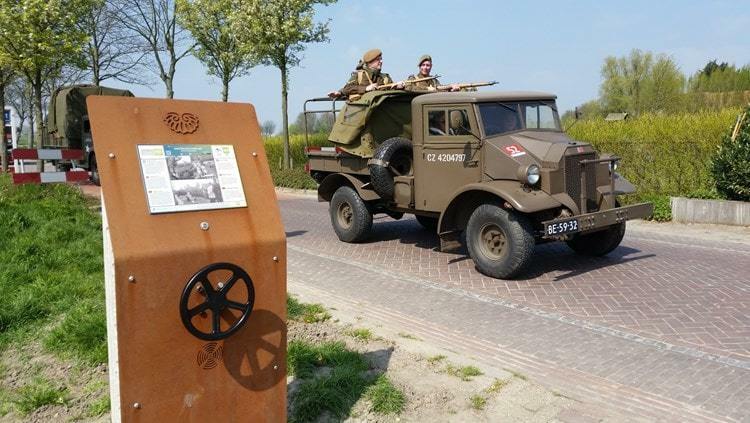 "Informative, educational, exciting and relaxing"
We help you upgrade your park, promenade, historical site or city to an Interactive experience! Audio is a great medium for interpretation and education. We assist parks, museums, cities and other organisations with the development of exciting stories. Our strength is the combination of attractive innovative audio devices with powerful educational stories. 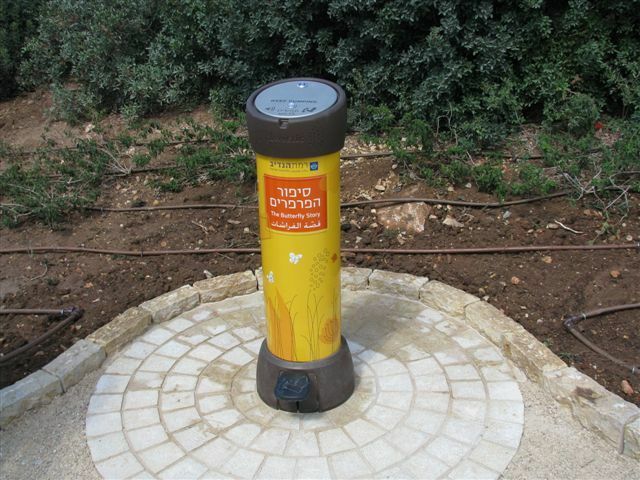 Imagine a walking trail through a city or village, where interesting, fun stories offer something extra at different locations. A spoken story with sound effects is so much more fun than a written sign or text panel. The Audionetic makes an impact on your visitors, regardless their age or background. Almost nobody likes a wall of text, only a few visitors will read your written signs. Not so with the Audionetic! With our interactive audio players 99% of the people will listen to the exciting stories. Hear the dino's fighting, the old monk talking with the young monk, the artist explaining about the sculpture. The possibilities are endless! Would you like to attract ﻿﻿more visitors﻿﻿ to ﻿your﻿﻿ ﻿﻿﻿site﻿﻿ ﻿who ﻿stay﻿﻿ ﻿﻿longer﻿? You offer a very unique location with many interesting features. It can be an old castle, a park, a walking trail through an old city or any other interesting location. You would like to attract more visitors and make sure people spend more time at your site. The challenge is to show your visitors the true beauty of your place. Of course you can hand out a brochure to your visitors but will they read it? Another possibility is to use human guides, but that takes a lot of logistic affords and the costs are high and continuously. Many places use visual signs, but again, who is reading these signs, especially in our time? And think of kids, how can you tell them the stories of your place? Attract more and repeating visitors to your ﻿location who like to stay longer. Turn the information about your site into ﻿an exciting﻿ experience for kids and adults. Find a solution with a one time investment , and minimum maintenance. So how do you tell interesting stories at your site, without spending money on human resources? You know those enthusiastic guides who excite visitors with interesting, engaging stories? Guides who are so talented with the gift of storytelling that visitors come back over and over again? These guides are rare to find. And visitors will only be served when the guides are there and it costs lots of money to hire experienced guides. What you're looking for is the power of storytelling, but without the logistic hassle and without continuous costs. Imagine that you can excite your visitors with powerful stories whenever people visit your site. And even better, imagine that your visitors can hear the knights fighting, the sounds of the steam train or listen to a talking butterfly. 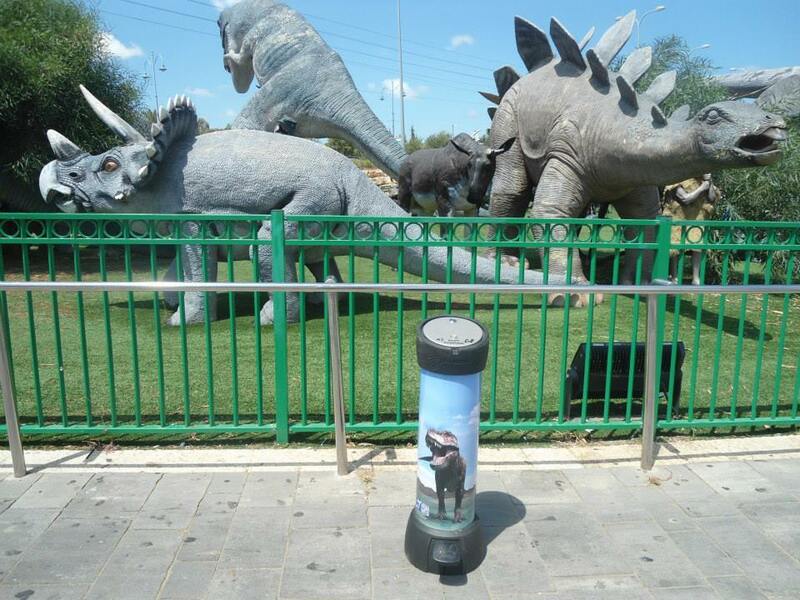 What you need is a solution with an one time investment, which will work for years to come and will turn your location into an exciting, interactive attraction! Your solution: the Audionetic human powered audio players! The Audionetic outdoor audio players don't need any external electricity and engage your visitors with exciting stories! Our audio players are beautifully designed and will immediately attract the attention of your visitors. The moment the visitor spins the wheel or steps on the foot pedal, the story promptly starts to play. Both kids and adults like to activate these installations and are fascinated by the stories and the sound effects. You can offer in various languages or different stories for children and adults and it is very easy to change the content, for example adjusting the story to the season of the year. With the Audionetics you make a one time effort which will give your visitors an amazing experience for years to come! All our installations are human powered, no external electricity needed. It is always easy to change the audio content. Choose a model that fits your location or consult with us for a custom solution. Our well known Audionetic Pole, with thousands of installations worldwide. The tube can be beautifully designed according to your wishes. 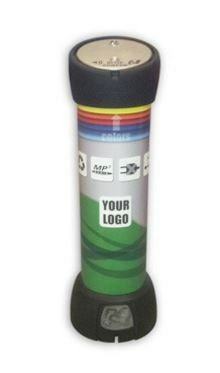 Put a QuizPole at the end of a trail of Audionetics and let your visitors test their knowledge of what they just learned. Both kids and adults love quizzes! The StoryBall is great for kids. 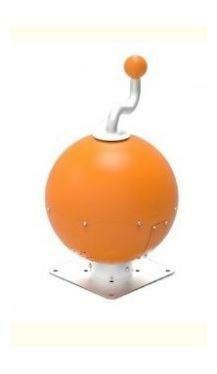 With a sublime sound the StoryBall can also be used to play music. 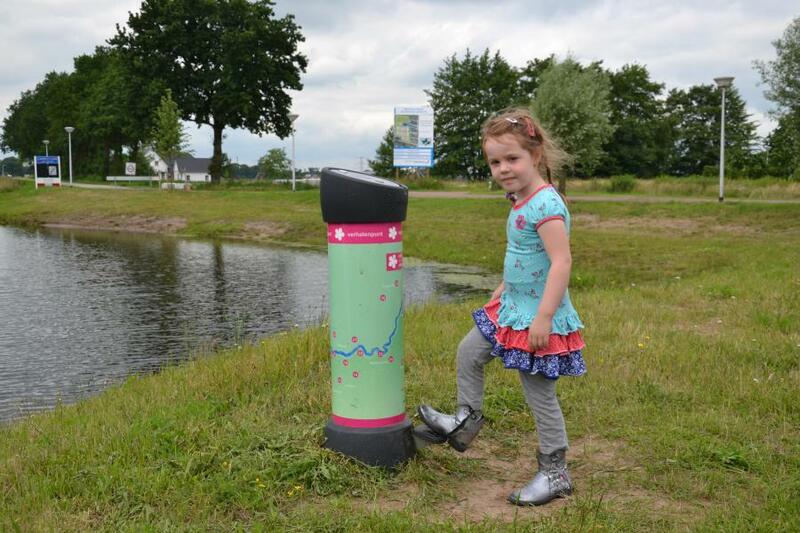 The StoryBall is easily accessible for kids in wheelchairs. The AudioSense can be mounted on any wall. The AudioSense does not only play excellent audio, but it has an option to produce a smell of your choice as well! The QuizWall offers different exciting games to test the knowledge of your visitors. The QuizWall can also be used as an regular audio information point with different stories. 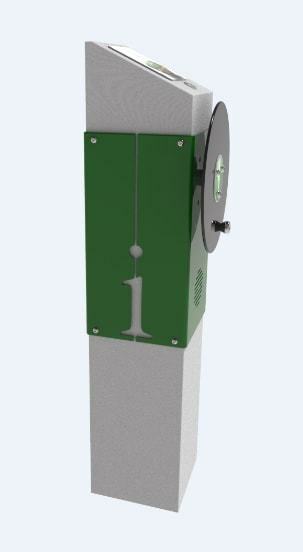 The Audionetic Spin is available in steel, wood or concrete. On top of the column there is space for a visual. The Audionetic Spin fits any location. If you need a bespoke solution we'll work with you to realize a custom design Audionetic. We also supply Audionetic kits which you can built in yourself into any construction. The energy required for playing an audio fragment is created by the users themselves by spinning a wheel or steer or stepping on a foot pedal. Therefore the Audionetic is completely sustainable and can be used even in the midst of a natural environment. 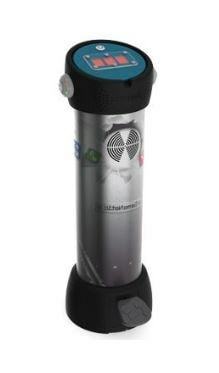 No external electricity is needed and the Audionetic does not contain any batteries! Anything that is located in the public space must meet strict quality standards and needs to be practically indestructible. The technology of any Audionetic installation is built into a vandalism proof construction. 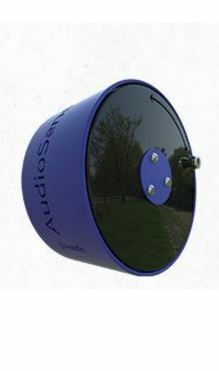 Of course the Audionetic's are suited for any weather, resistant against water, snow and sun. All Audionetic products make use of human powered energy. The installations don't need external electricity and don't use batteries. Our products products are 100% safe. All Audionetic installations are tested and certified for the public space. Most of our products are accessible for people with special needs, for example wheelchair users or people with hearing disabilities. The Audionetic products need very low maintenance. Some installations are even maintenance free! We use very strong materials in order to ensure top quality. The Audionetic products are highly vandalism resistant. All our installations have an option for a build in time clock to disable use at night.​ No complaints about noise, even in living neighborhoods. Our company will not only supply you with our Audionetic installations but we'll assist you in realizing amazing stories. Like you know: 'Content is King'. You can have a very attractive and practical audio installation, the most important thing is the story it plays. Our team is specialized in creating fascinating stories and producing the audio including amazing effects in any language. You provide us with the information, we turn this into engaging stories. Of course you can also produce the stories by yourself or work together with a local studio. Technically, all the Audionetic needs is a regular MP3 file. Get a 100% free consult on how to attract more visitors to your location. 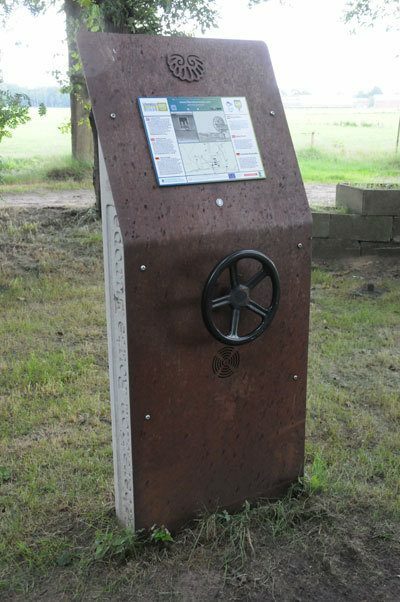 The Liberation Route Europe is a continuously growing, international remembrance trail, connecting important milestones of modern European history. Liberation Route Europe links the main regions along the advance of the Western Allied Forces. Especially for the Liberation Route 21 custom Audionetics were designed made from corten steel and concrete. Of course these special Audionetics are human powered too which is a great advantage because the Liberation Route has information points in the middle of the nature where no external electricity is available. See www.liberationroute.com for more information on this project. This Audionetic tells the story of an ecological butterfly garden. The challenge was to create a story interesting for both adults and kids. In the story, a young girls asks questions to the talking butterfly. People of all ages are fascinated by the story and learn about the flowers and the butterflies. Pay attention to the nice way the Audionetic was installed. Give the Audionetic the spot it deserves and your visitors will enjoy it even more! The Apenheul Primate Park is a zoo in Apeldoorn, the Netherlands. It specializes in apes and monkeys. It opened in 1971 and was the first zoo in the world where monkeys could walk around freely in the forest and between the visitors. It displays more than 30 different primates, among them bonobo, gorilla and orangutan. 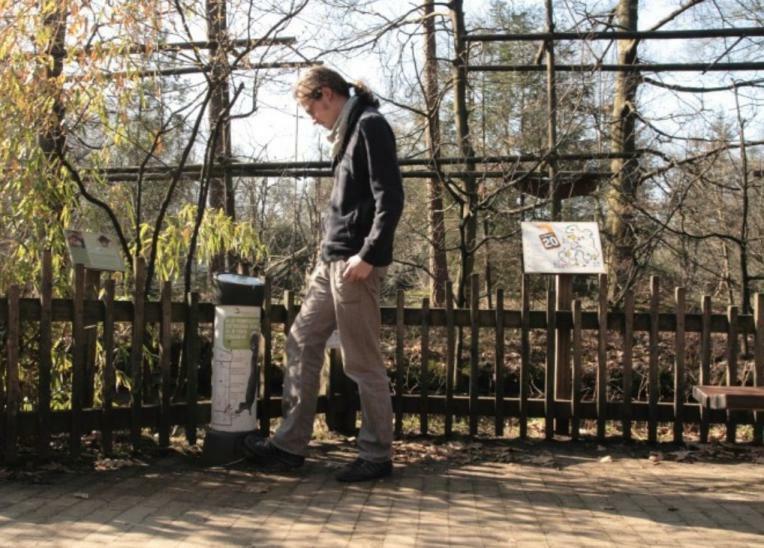 The Apenheul wanted to give the visitors more information about the apes in a fun, engaging way. Research showed that only few people were reading the existing visual signs. By installing different Audionetics the Apenheul turned its information onto an interactive experience. The visitors love it and kids are encouraged to learn more about the behaviour of the apes. The Vecht valley is a well known varied landscape in Holland and Germany. The Vechte (German) or Vecht (in Dutch) is a river with a length of 167 km, of which 107 km are on German soil and 60 km in the Netherlands. The Vechte originates in the Baumberge hills, near the city of Münster in Germany and flows into the Dutch province of Overijssel. To the end in confluence with the Zwarte Water river near the town of Hasselt. The Vecht valley is rich with stories waiting to be told. 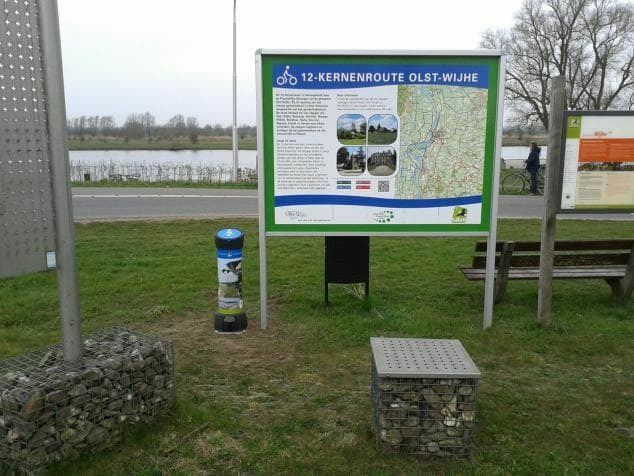 Therefore, thirty Audionetics were installed on the Vecht valley bike track. After generating the necessary electricity by the user, the Audionetics tell local legends and stories about the valley. You will get inspiring information about heritage interpretation and how to attract more visitors to your location. Are you still not convinced the Audionetic is the right solution for you? Visit one of the hundreds locations worldwide where they use Audionetics to create more value for their visitors. Let us know where you're based and we'll give you a list of the Audionetics nearby. If you still have any doubts or questions please contact us. 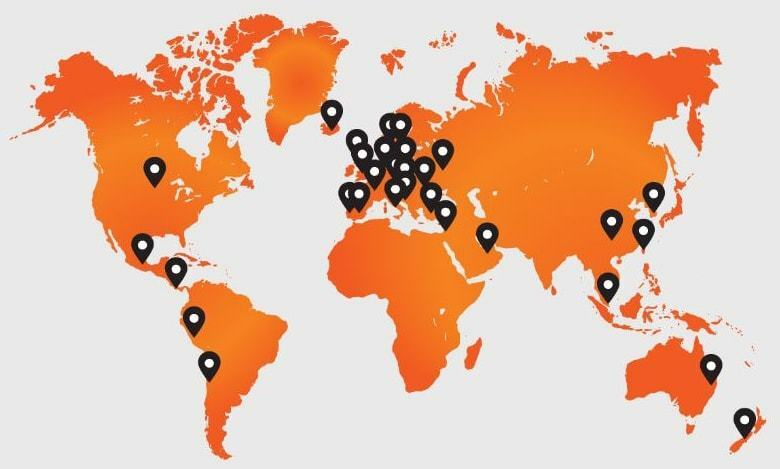 We have more than 25 dealers worldwide. Our dealers will help you to realize your project, from A to Z. If there is no dealer close to your location we will make all the necessary arrangement from our headquarters in the Netherlands. Enter your Name and Email Address below to subscribe for our newsletter!